As more and more Kashmiris were embracing the idea of homegrown militancy last year and New Delhi had announced a halt in operations against militants, a little known group — Al-Badr — had released a video on social media in June, in which it had declared a war on security forces in Jammu and Kashmir and workers of mainstream political parties. After remaining defunct for nearly half a decade, Al-Badr was the seventh group among an array of militant outfits that had sprung back to life after "new age militancy" took the Kashmir Valley by a storm. "Those who are religious will be given preference," Hamzah Burhan, an Al-Badra militant, had said in the video, the first time the group had announced its presence on social media, much like other outfits operating in the Valley, to attract youth into its fold. Soon after, a trickle of youngsters began to join the outfit. As the number of Kashmiris taking up militant ranks rose, as did the killing of militants by security forces. In November last year, one of the longest-surviving leaders of new age militancy, Zeenat-ul-Islam, joined Al-Badr, saying that other outfits were "doing well" and he wanted "to strength and popularise the group". "As you are well aware, the Hizbul Mujahideen, with the grace of god, is doing well and is standing firm before the enemy in the battlefield. So I have now decided to join my parent organisation Al-Badr, with the sole motive of popularising and strengthening it and help my oppressed nation in realising the dream of Azadi," Zeenat, the father of a three-year-old girl, had said in a video uploaded on social media. 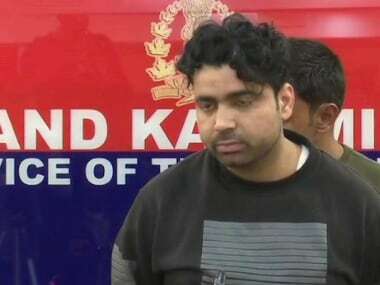 In the weeks he survived as the group's chief, the police says Zeenat tried to act like a "Pied Piper", attempting to expand the Al-Badr's base in South Kashmir. But before he could really make a mark and fill the groups's ranks, he fell to a hail of bullets on Saturday evening, along with another militant. Following specific inputs, security forces had laid siege in the Katpora area of Yaripora in Kulgam district. When they had approached the spot, the militants were exiting a residential area. 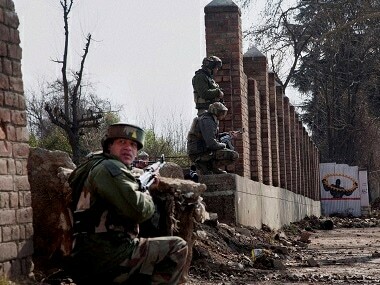 While trying to break the cordon, the militants had opened fire on the security forces, triggering a brief gunfight. 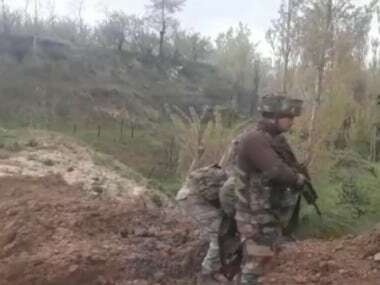 The slain commander was among the 12 most wanted militants in Jammu and Kashmir, and one of three militants in the Indian Army's most wanted list, which Zakir Musa tops. The 29-year-old was an IED expert who acted as an operations chief of the Pakistan-based militant outfit. He joined militancy on 17 November, 2015, after graduating with a Bachelor of Arts degree from a local college. In February 2017, Zeenat was involved in an attack in Shopian that left three soldiers, including an officer and a woman, when militants ambushed an army patrol in the district's Mulu Chitragam area. Zeenat was a resident of Shopian's Sugan Zanipura in South Kashmir. He was first arrested in 2007 by the Special Operations Group of the Jammu and Kashmir Police. While being interrogated, he had admitted to working as an overground worker and being in touch with militants from different organisations. He had said he would arrange for food and organise their travel, after which he was booked under the Public Safety Act, police sources said. He was released in 2011, after which he began to work in his village by helping his father in farming. He also got married, in the meantime. When security forces surrounded the house in Kulgam on Saturday evening, they called Zeenat's father to try to persuade him to surrender. But that did not materialise. "An army officer called us, telling me to persuade my son to surrender. But I had not spoken to him since he left his home in 2015," Ghulam Hassan Shah, Zeenat's father, said. "I did not want to tell him to surrender because he chose this life for himself." Last year, for the first time in a decade, the number of militant outfits actively operating in the Valley rose to seven. This included the formerly defunct Al-Badr, which has a record of deviating from the stand of other outfits on issues of ceasefire and dialogue. For instance, in June 2000, when the Hizbul Mujahideen had decided on a three-month unilateral ceasefire after battling government forces in Kashmir for over a decade, Al-Badr was among the key groups that had objected to the decision. Even in 2018, when the central government announced a halt in operations, it opposed the move. Al-Badr is ideologically similar to the Hizbul Mujahideen, with both drawing inspiration from the Jamaat-e-Islami. It began its operations in the Valley in early 1998 but failed to get as much local support as, say, the Hizbul. The group is headed by Bakht Zaman, who has fought in the Afghan War. However, Zeenat, as its Kashmir chief, may have been successful in recruiting a few youths. Security forces say that at least seven militants of the group are currently active in South Kashmir. 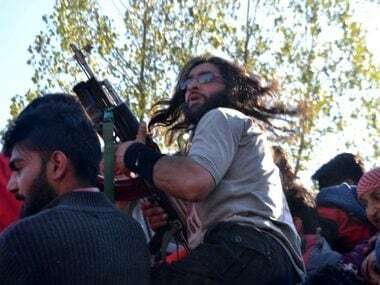 The Hizbul Mujahideen and Lashkar-e-Taiba have been dominant militant forces in Kashmir, but the Jaish-e-Mohammad, after remaining defunct for more than a decade, made a gradual and serious comeback last year, and Al-Badr followed. After its formation in 1998, Al-Badr had sent its men to fight in the Kargil War in 1999. They were mainly restricted to the Valley to keep the anti-Pakistan elements in check, the police claims. One of its target was the Ansar Gazwat-ul-Hind led by Zakir Musa, who has openly spoken against Pakistan and argues for Islamic rule in Kashmir. "It (Zeenat's killing) is a major achievement for security forces as he was one of the last surviving militants from the Burhan Wani group. 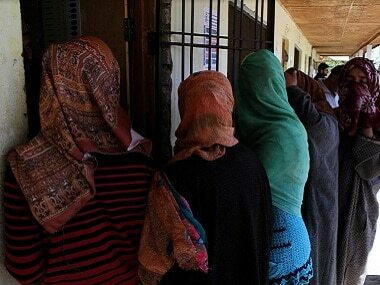 His killing has nearly brought the curtains down on the outfit's operations in Kashmir," a top police officer said.